If you are thinking of moving to the Eastleigh area then you have just landed on the right site. 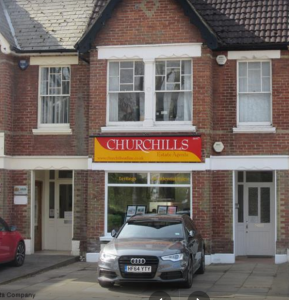 Churchills Estate Agents is situated in the centre of Eastleigh. We offer expert advice on buying, selling, letting and renting residential properties in Hampshire and have an impressive portfolio of properties available. Eastleigh (a glade in a wood) is an old Roman settlement and recorded in the Doomsday Book as “Eastlieie”. Over the centuries the town expanded and was built on the American “grid iron” system, with north and south roads crossing east west roads. Its central location allows easy access to Southampton, Portsmouth, Winchester, coastal resorts, The New Forest and the West Country. With the M3 and M27 close by, London is a 1 hour journey and under an hour from Eastleigh’s main line railway station. The international Southampton/Eastleigh airport services both business and tourism trade. All you need from an Estate Agent is right here on your doorstep. You’ll feel at home with Churchills.